Welcome to the City of La Habra! 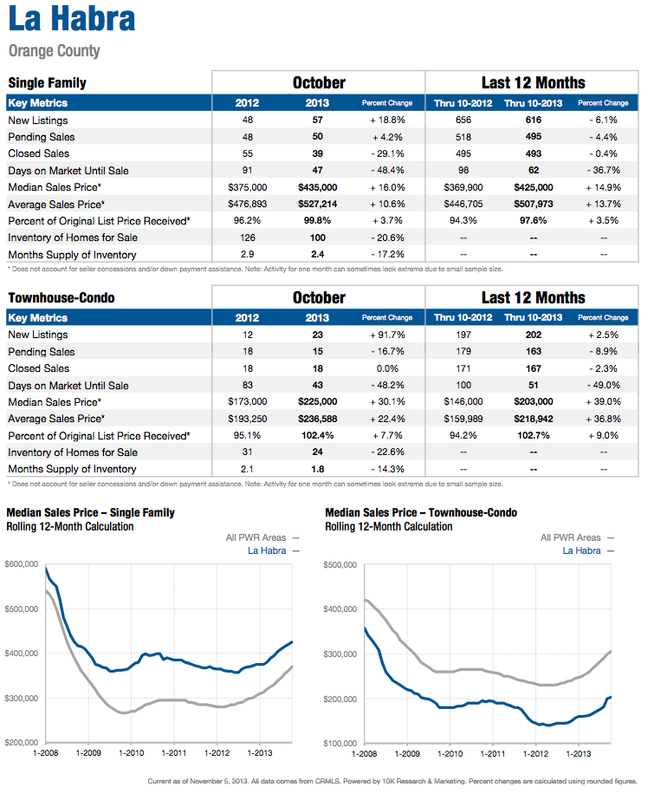 Below you will find a number of quick links and resources that may be useful in guiding your relocation decision. If you have additional questions please feel free to contact me via email or by telephone 562-884-5373. La Habra is a peaceful residential community located in the northmost corner of famouse Orange County. If you're looking to live within an hours drive of beaches, mountains, best shopping and most things to do in LA, La Habra is definitely the spot for you! The city is surrounded by nature and actually has over 20 parks within its limits, with tons of resident and community driven activities for all ages, there is never a lack of things to do in La Habra! If you don't have enough, even more is available within a short drive outside of La Habra. City Motto: "La Habra - A Caring Community"
INTEGRITY – Having integrity means being true to our values and acting with consistency in every situation. Integrity involves self-reflection, self-control and behaving toward others truthfully and in a manner consistent with our values and beliefs. RESPECT – Showing respect towards others includes patient listening, courtesy, politeness, dignity and tolerance. Respect requires keeping an open mind, avoiding quick judgment, and treating people equally and fairly. In all that we do, we act to treat others as we would like to be treated. TRUST – Building and maintaining the public’s trust and our trust in each other requires honesty, sincerity and playing by the rules. To establish trust in our relationships with others means to follow through with our responsibilities and promises to others and to communicate in a forthright and truthful way. EXCELLENCE – We value excellence in our work and dealings with others. Excellence means exceeding expectations and always being careful, thorough and diligent in our performance. We continuously use our knowledge, skills and abilities to identify and implement ways to improve our organization and our processes, programs and services. COMMUNITY PARTNERSHIP – We are part of the community. 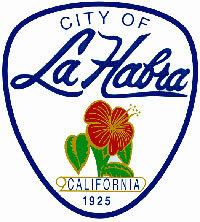 Community partnership involves collaborating with residents and organizations for the betterment of La Habra. We value communication with those that we serve and encourage their participation in our community. RESPONSIBILITY – We are responsible to one another, our work, and the community as a whole. Having responsibility means accepting our role in the City’s mission and being accountable for our actions, freely accepting the outcomes and consequences. We consider the impact of our decisions on each other and the community and own up to our mistakes. LOYALTY – We are loyal to our chosen profession and to the community. We will continuously seek out opportunities to promote the community’s interests for the common good. 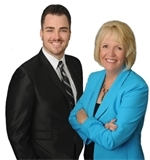 La Habra and its residents and businesses are the highest priority in our professional lives. In the ranchos days when vast herds of Mexican cattle and horses grazed over the hills and valleys of Southern California, Mariano Reyes Roldan was granted 6,698 acres and named his land Rancho Cañada de La Habra. The year was 1839, and the name referred to the “Pass Through the Hills,” the natural pass to the north first discovered by Spanish explorers in 1769. In the 1860s Abel Stearns purchased Rancho La Habra. Soon thereafter, heavy flooding followed by a severe drought brought bankruptcy to many cattle ranchers. The first La Habra Post Office was established in 1898 in a corner of Coy's Store at Central (now La Habra Boulevard) and Euclid Street. The City was incorporated under general law on January 20, 1925 with a population of 3,000. The Police Force was organized in 1926 and employed a Chief, Traffic Officer and Patrolman. By 1928, the City bore the distinction of being the largest avocado center in Southern California. In 1930 the first Fire Department building was constructed followed by the original City Hall in 1935. By 1950 the population reached nearly 5,000. The Civic Center took shape when the existing County Library was dedicated in 1966, followed by the present Administration Building in 1969. Richard Milhous Nixon opened his first law office in La Habra just west of the Civic Center on the north side of La Habra Boulevard. That brick building was demolished in the 1990s for the construction of the City's Community Center. For over seventy years La Habra was home to the Hass Avocado Mother Tree, an accidental seedling planted by Rudolph Hass in the 1920s. The fruit from this tree has since become one of the most popular avocado cultivars worldwide. The Hass Mother Tree succumbed to root rot in 2002. The La Habra Stakes, run since 1973 at the Santa Anita Park Thoroughbred race track, is named for La Habra. The bell and plaque at the corner of La Habra Boulevard and Euclid Street marks "La Habra's Birthplace". According to the wording on the plaque, "The first post office officially naming this settlement La Habra was granted in 1898 and was established in a corner of Coy's Store, located on this site. El Camino Viejo, the old road between the missions, passed this corner, which became a central trading point in the fertile La Habra valley." The plaque was designated Historical Site No. 29 in 1978, by the Orange County Board of Supervisors and Orange County Historical Commission. La Habra is also home to the annual Corn Festival, an event sponsored by the La Habra Host Lions Club that attracts several thousand visitors from La Habra and surrounding communities. The event is usually held the first weekend in August at El Centro-Lions Park. The Milhous Family, grandparents of the nation's 37th President, Richard Milhous Nixon, were among the first settlers in La Habra. Richard Nixon opened his first law office in La Habra, located on La Habra Boulevard, at the site of the current Community Center. This hands-on facility is partially housed inside a 1923 Union Pacific Train Depot. The museum opened in 1977 and was the first of its kind west of the Mississippi River. This unique educational facility is devoted to young children. The Museum boasts 90,000+ visitors a year. The Children’s Museum can be found on the Web at www.lhcm.org. La Bonita Sports Complex is located at 1440 W. Whittier Boulevard and is home to a skate park, multi-use rink and court, four lighted softball fields, playground and a concession/restroom building. This multi-million dollar facility was completed in 2006 and is a crowning jewel in the City’s park system. Constitution Plaza Park - 1150 E. Whittier Blvd. Constitution Plaza is an urban open space located at the intersection of Harbor Boulevard and Whittier Boulevard. It is 0.55 acres. It serves as a memorial and an urban design feature marking the end of Whittier Boulevard and Harbor Boulevard. It does not serve as a recreational park. Corona Park - 735 W. Fifth Ave.
Descanso Park - 170 N. Fonda Ave.
El Centro-Lions Park - 320 E. Erna Ave.
El Centro-Lions Park is located at 320 Erna Avenue and is the oldest park in the City. The City acquired the park in 1948 from the Lions Club. The park is 3.98 acres in size and is located near the civic center, just across from Orange Street. It serves as a focal point of the community with an annual Corn Festival on the first Saturday in every August. The festival draws about five thousand people to come into the park and enjoy themselves with a variety of events. Esteli Park - 2251 E. Brookdale Ave.
Esteli Park is located north of East Brookdale Avenue at the far northeast corner of La Habra. It is 9.76 acres in size and is adjacent to Ladera Palma Elementary School. The park was dedicated in 1976 to commemorate the City of Esteli, which is a sister city of La Habra. Esteli Park is an active park and includes a football field and two baseball diamonds with bleachers and a concession building. Guadalupe Park - 381 S. Walnut St.
Guadalupe Park is located at the northwest corner of South Walnut Street and is adjacent to the railroad. The 4.93-acre linear park and greenbelt includes a playground, an outdoor exercise course, The Gary Center, and a boxing club within Guadalupe Hall. La Bonita Park - 1440 W. Whittier Blvd. The City of La Habra purchased the 22.6 acres of La Bonita Park in 1957, and development was initiated in 1960. The park includes picnic facilities, playgrounds, restrooms, softball fields, a skate park, a girl's pavilion, and the Boys and Girls Club. There are four lighted baseball diamonds and a large open field. The Boys and Girls club within the park is a quasi-public recreational facility which is largely supported by grants. The club is focused primarily toward teen-aged activities and charges a nominal fee ($5) for membership which enables the use of its gym, its many classrooms and programs. The programs include cultural enrichment classes, health and physical education programs, professional development and educational classes, social recreation, and citizenship and leadership programs. The club also features an after school van pool pick-up program to bring its members to the club after school. There are three on-site parking lots for the park. One at the north end is directly off of Whittier Boulevard, one is at the south end of the park off Grenada Drive at West Hanline Way, and the third is on the east end of the park off of Idaho Street. Las Lomas Park - 841 S. Euclid St.
Leslie Park - Imperial Hwy. and Leslie St.
Leslie Park is a small park of 0.53 acres. It is an open area that was a remnant parcel from a realignment of Leslie Street. It functions as a landscaped open space. The adjacent areas are commercial and industrial areas. Loma Norte Park - 2051 E. Brookdale Ave.
Loma Norte Park is located immediately west of Ladera Palma School. It is 4.86 acres in size. Ladera Palma School is also adjacent to Esteli Park to the east. Loma Verde Park - 501 S. Walnut St.
Loma Verde Park is 1.6 acres in size within a triangular shaped lot. This land was acquired in 1972 and now includes a basketball court, a multi-purpose play field that allows an overlay of a soccer field, BBQ grills, and picnic tables. There is also a small amount of on-site parking within the park. Montwood Park - 231 E. Montwood Ave.
Montwood Park is located on Montwood Avenue, just east of South Euclid Street. It is a small park of 0.60 acres. The park also functions as an open space for the adjacent neighborhood. Oeste Park - 2300 W. Lambert Rd. Oeste Park is 4.56 acres in size and was developed in 1965. The park includes two playgrounds, restrooms, BBQ grills, picnic tables, and drinking fountains. Olita School is adjacent to the park, and access is readily available from the school. Therefore, the park is especially popular with children and parents. There is on-site parking off Lambert Road, as well as from the adjacent neighborhood off Glenhaven Drive. Old Reservoir Park is a small park of 1.09 acres in size. It is located off Brookdale Avenue, just west of Fullerton Road. The park is near Arbolita School which provides larger recreational grounds for the neighborhood. Old Settlers Park - Euclid St. / La Habra Blvd. This park is a small 0.07 acre landscaped area located at the northwest corner of Euclid Street and La Habra Boulevard. The Park is completely landscaped and has no open lawn area. Nearby there is a historical plaque marking the former location where former President Richard Nixon opened his first law office in La Habra, at the site of the current La Habra Community Center. Portola Park - 301 S. Euclid St. Located in the central part of the city, the 10.08-acre Portola Park is located north of West Electric Avenue and west of South Euclid Street. It was developed in 1975. Portola Park is a popular park due to its many facilities. It includes the Children's Museum at La Habra that attracts many visitors from throughout Southern California. The museum is also used as a teaching facility by teachers from many areas. The park was also the site of an old railroad station which has been rehabilitated to house the Children's Museum. The museum has recently expanded and includes a new building that extends the old railroad station and has kept its architectural integrity. Within the park there are also two City-operated day care centers that serve approximately 600 children. The park includes enclosed playground facilities for the day care centers and a community theater which provides a venue for plays and theatrical productions. There is also the La Habra Tennis Center which includes 12 lighted courts, a pro shop, and locker facilities. The center provides private court rental and lessons for various age groups. The park also has three ball fields with bleachers and an open area for picnic use on the northern side of the park. All of these uses share a single parking lot. Richard’s Park - 701 S. Clifton St.
Richard's Park is a small open space of 0.28 acres in size, located at the intersection of Lambert Road and Euclid Street. The landscaping features a water conservation landscape. San Miguel De Allende Park - 981 N. Euclid St.
San Miguel De Allende Park is a neighborhood park and provides picnic facilities and playground. The park serves as the primary open area and park for the surrounding residents. Terraza Park - 450 S. Dexford Dr.
Terraza Park is located at the west side of the city and was developed in 1976. It is a 2.39 acre park. The park includes picnic facilities, an open grass area, and a playground with play apparatus. Town Center Park - Main St. / First Ave. This park is a small open area at Main Street and First Avenue. It serves as an open lawn area of 0.21 acres to the north of the intersection. A short walk north to La Habra Boulevard and west to Euclid street will bring you to Historical Site No. 29 commemorating the route of the original El Camino Real. Spanish for The Royal Road and also known as The King's Highway, the historical route from the Spanish colonial era connected 21 missions and other sites in the former Alta California. The plaque also marks the birthplace of La Habra when the first post office naming this settlement La Habra was granted in 1898 and established on the site of the plaque. Vista Grande Park - 1100 W. Lambert Rd. Vista Grande Park is 17.54 acres in size and was acquired by the City in 1959. Vista Grande Park is located south of Lambert Road and east of Idaho Street. The park includes a restroom, a Scout Hut, a Head Start School, a wilderness area and bird sanctuary. The park is primarily an open space, and it is used for jogging and informal play by residents of the neighborhood. The La Habra Chamber of Commerce maintains a very detailed directory of everything you'd ever need to find in La Habra! So head on over to their site to use the convenient online La Habra Community directory. As of the census of 2010, there were 60,239 people,19,924 household units and 18,977 occupied housing units in the city. In the city, the population was spread out with 26.7% under the age of 18, 7.2% under the age of 5, and 10.9% of the population was 65 or older. The average family size was 3.20.